In my journey of discovering natural, i have always been keen to try new things and see what changes i can make to eliminate toxic products. 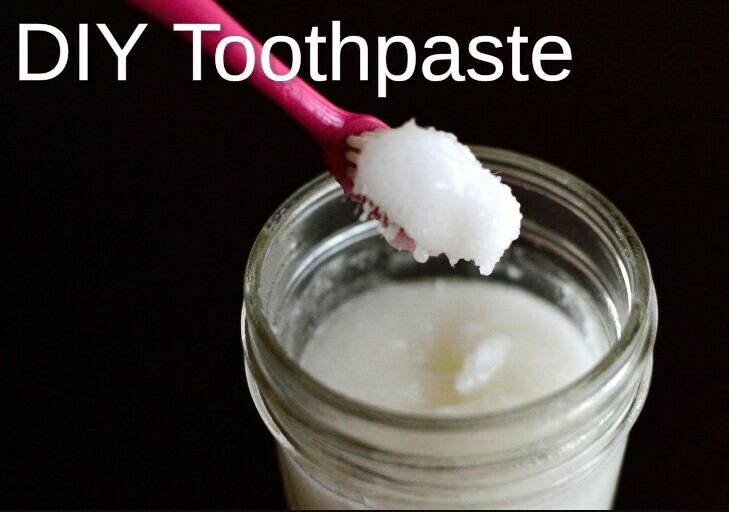 I learn't that most toothpastes contain a few ingredients that are harmful to our oral health such as glycerin and sodium fluoride. Glycerin coats our teeth for protection, however this slows or stops the process of remineralization (do a study on it) whilst sodium fluoride is a by-product of aluminium and could be found in rat poison. I know right?! So as usual, instead of worrying myself concerning these and other factors i thought why not make my own at home using some of my favorite ingredients. I have experimented with different ingredients and i absolutely love how i can switch up the taste of my toothpaste based on the essential oils i use. Can i also add that i'm not putting anything in my mouth that i am not able to pronounce. ahahahah! Something that i do not really enjoy is trying to scoop it out of a mason jar. Initially i tried to be cosmopolitan about it and use a spatula but these days i literally just dip my toothbrush into the jar and scoop out the toothpaste. Mix the baking soda and coconut oil in a bowl and mix until creamy/blended. Add the essential oil and mix until you have the toothpaste texture. Store in a mason jar and its ready for use. Baking soda neutralises bacteria therefore minimising cavities. It also removes plaque and whitens teeth. Peppermint oil has a fresh and minty aroma that produces a cooling and refreshing sensation. It helps cure gum diseases and bad breath. Coconut oil is high in anti bacterial properties and having tried oil pulling before, I will add that coconut oil really helped whiten my teeth. I hope this post was insightful. If you are going to try this play around with the quantitis to suite your preferences. I would love to hear your thoughts in the comments below. Thanks dearie❤ let me know how it goes when you try it. Thank u Anitah! I hope you do a further study on this & try it out. Thanks for the info,amazing !